The two main categories of hay fever are: seasonal, which occurs only during the time of year in which certain plants pollinate, and perennial, which occurs all year round. Seasonal allergies are more prevalent in the spring and summer and likely triggered by tree, grass and weed pollens. Perennial hay fever, as the name implies, can be present year round. Likely triggers are dust, dust mite faeces, mould and fungus spores. 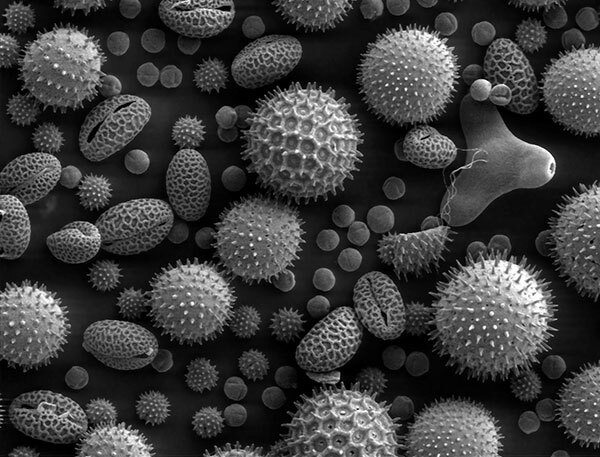 What if the symptoms of hay fever could be relieved by simply changing the way you breathe? In other words, addressing the cause of your hay fever by learning to breathe the way we are supposed to. Could the way you breathe be a missed link in the coincidence of Asthma – Hay fever – Eczema and Food Intolerances in some people? Is this the missing piece of the jigsaw puzzle? Could the way you breathe provide a clue to how asthma, hay fever and eczema often present in the same individual? What if it were possible to get relief from the symptoms of eczema, hay fever and asthma by learning to breathe correctly? For 30 years I took almost daily inhaled steroids for asthma, steroid nasal sprays for hay fever and steroid creams to treat my eczema. In 1984, I visited a renowned allergy specialist in Sydney. He ordered a skin prick test to test me for a broad range of known allergens. Within a few minutes the test area became a large inflamed coalesced welt. Skin prick tests may be more sophisticated today but it was impossible to see the wood from the trees in this instance. Nevertheless, on the basis of this test the specialist suggested a course of desensitising injections including all the tested allergens. He suggested the programme could take years. Right there and then I realised this wasn’t the solution. Even if desensitising was the solution for these allergens, and I suspected it wasn’t, clearly I needed to go deeper to discover why my body mounted such a strong response to so many natural agents. Sixteen years later I found the solution: a Buteyko course I did in the UK in 2000. Not only did it help me control my asthma but also, for the first time in my life, no more debilitating hay fever. I’ll never forget standing in Hyde Park in London watching clouds of thick pollen streaming through the park, caught in the afternoon light. This was the spring of 2001 and I realised that my eyes weren’t streaming and my nose wasn’t running. What’s more I wasn’t reaching for my steroids, antihistamine and there wasn’t even a soggy tissue in my pocket. I have been symptom and medication free since doing that Buteyko course 14 years ago. Our breathing clinics have already helped thousands of New Zealanders control the symptoms of hay fever without the need for antihistamines, nasal corticosteroids, sinus rinses or endless tissues. Attend one of our upcoming seminars to learn how to control asthma, hay fever, allergies and other breathing-related disorders the natural way. Phone us on 09 360 6291 to book a consultation or course, or for more information about our programmes. I highly recommend the Buteyko Course. It is very useful for asthma but also chronic hay fever and snoring and has a role to play in the management of anxiety. I have seen people with chronic lung disease, hay fever, snoring, insomnia, anxiety and stress report significant benefits. I would recommend anyone with ongoing health issues, or those wanting to maintain good health, consider doing the Buteyko breathing training. After 30 years of hay fever I walked through a grassy field and for the first time without sneezing, itchy runny nose. All this after doing a Buteyko course in August 2006. For years I suffered from rhinitis and hay fever. In 2003 I developed asthma too. Since learning the Buteyko Method …. my symptoms have disappeared and I am feeling very much better. The horrible constant build-up of phlegm in my throat which caused me to clear my throat constantly and cough has stopped! As has a funny little constant cough I had for 4 or 5 years. My frequent sneezing attacks have become very rare. …..I highly recommend the Buteyko Breathing course. 2 Wheatley, LM; Togias, A (29 January 2015). "Clinical practice. Allergic rhinitis, NE JM. 372 (5): 456–63.